As more fans become digital-first in how they consume sport, rights-holders’ digital channels are playing an increasingly important role in how they deliver value to sponsors. To fully demonstrate the power of their sponsorship proposition, rights-holders need to report the value being delivered through digital channels (owned and third party), in addition to the value delivered by linear broadcast coverage. The R&A has built a portfolio of international blue-chip brands (Patrons) who leverage the global appeal and prestige of The Open, golf’s original major, to achieve their commercial objectives. However, The R&A didn’t have the mechanisms in place to measure and report the value delivered to its Patrons across its digital channels. As a result, it has historically been unable to demonstrate the total value delivered across its entire media footprint. By introducing technologies that track digital engagement in real-time, Two Circles would be able to provide the tools required for The R&A to measure The Open’s total audience reach across the digital sphere, and use proprietary valuation models to accurately measure value delivered to brands. The R&A asked Two Circles to introduce technologies that measured engagement of branded content across a mix of owned and third-party digital platforms, and use its proprietary valuation models developed through its unique positioning within GroupM – the world’s largest media investment group – to translate this into media value. Two Circles used this to analyse how all branded content for Patrons of The 147th Open at Carnoustie in 2018 performed on digital channels, and supplemented it with impact from broadcast coverage; this enabled The R&A – for the first time – to report the value it had delivered to The Open Patrons across all media channels. This value was reported to Patrons individually, alongside Two Circles’ recommendations for where and how additional value could be delivered in the future, including opportunities to enhance reach and find new audiences ahead of The 148th Open at Royal Portrush. 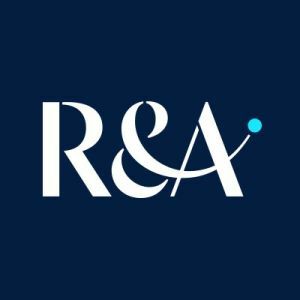 As a result of the project, The R&A strengthened its existing Patron relationships through greater visibility and reporting of commercial value being delivered, and enhanced conversations with new potential Patrons by being able to show the additional value it could deliver through digital channels. “Being able to measure and report the true value of the assets we deliver to our commercial partners is vital, particularly when fan consumption methods are changing so rapidly.